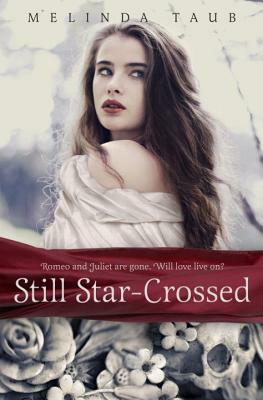 I very nearly didn’t end up reading Still Star-Crossed, and that would have been a total shame because it was so good. My interest had been piqued when I heard it mentioned in the same breath as Romeo and Juliet (Fun fact: Anything mentioned in tandem with Shakespeare is guaranteed to get my attention, in case you didn’t know that by now), but it was only after Danica insisted that I finally read this story. Anyway, before I tell you what I thought, let me tell you about the book. Still Star-Crossed is basically a young adult novel set in the time after the events of Romeo and Juliet, and featuring many a key character (and Shakespeare reference) to boot. It centers primarily around Rosaline (Juliet’s cousin) and Benvolio (Romeo’s friend), who are thrown together by the mysterious circumstances that threaten the peace between their kin and in fair Verona. Not only do we get intrigue, but we also get hijinks, humor and plenty of heart too – especially as romance blossoms in the midst of the turmoil. I initially decided to read Labyrinth Lost because the main character’s name was just so close to my own, and it is very rare indeed for me to encounter that in YA novels. Anyway, aside from how cool it was to read a name character with a similar name, this story was great! The story centers around Alejandra, a teen whose entire family is a line of brujas and brujos (witches). Instead of embracing her gifts like her sisters, Alex feels like this magic is a curse that only brings terrible things their way. On her Deathday (a celebration for when her magic manifests, usually celebrated around birthdays if possible), Alex decides to do a spell that will take her magic away once and for all – only to discover that the spell instead makes her entire family disappear. Alex is determined to get them back, and armed with her stubbornness, her family’s book of magic and the help of a few people, she descends into Los Lagos, the land in-between. 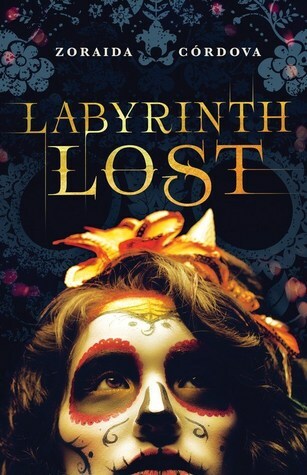 I enjoyed Labyrinth Lost for a number of reasons – the bruja culture (created from a mix of elements, which you’ll learn about if you read the author’s note) with its infinite possibilities, the adventure set-up where Alex is forced to journey to a place she didn’t know and navigate it by instinct and with unexpected help, the emphasis placed on the family and history. Honestly, it’s a potently brewed mix, and Cordova does a great job making it incredibly readable and interesting. There are really only two things that made me lower my rating the tiniest bit: 1) Alex isn’t always likeable (especially at the start) and 2) the obstacles she encountered were a bit too conveniently hurdled. Still, I found this story to be a refreshing change of pace in my fantasy reads! I definitely liked it, and though it definitely works as a standalone, I would be very likely to pick up the sequel to read if one should be published.